Today is designated as Patriot's Day in Boston. Most people have the day off due to the holiday and the famous Boston Marathon. With 26,000 racers registered, this year was set to be business as usual as far at marathon day was concerned. 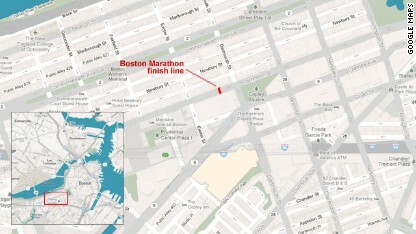 But shortly after 4 hours after the race began, an explosion rocked the streets of Boston followed by a second explosion leading to chaos by both the remaining racers and the onlookers. The number of injured continues to rise. Reports are saying that 2 are already dead. 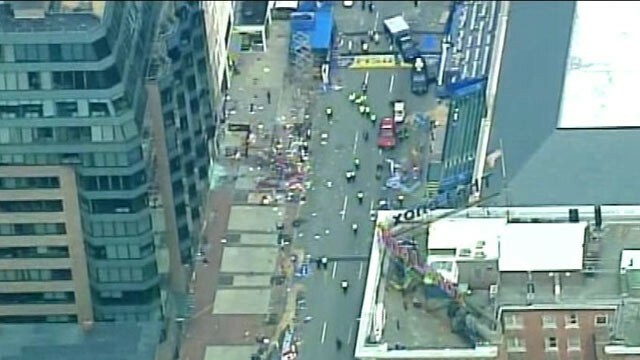 Boston police set off a third explosion before 4 p.m. They were sweeping the area and checking dozens of bags left behind by those that fled the scene for cover after the explosions. According to police, officials are also testing for chemicals to help determine what kind of device was used. Â Attorney General Eric Holder was in touch with the FBI in Boston and President Obama was notified of the blasts. Â All of Boston's police force was ordered to report to duty. Last night I was watching Master Class with Tom Brokaw and the scenes from 9-11 flashed on the screen as he described what had taken place during that time. I had to turn away because I can no longer stand to watch that second plane without feeling a clench in my heart. And now something else. Another day that will mark time, the before and the after. Â I am concerned about friends,Â acquaintancesÂ and online comrades who are up north at the moment. I pray they are all safe. Security precautions were taken elsewhere beyond Boston. In Washington DC, Pennsylvania Avenue in front of the White House has been closed. Let's keep Boston in our prayers tonight. I'll try and keep everyone updated via social media channels as best I can. To my friends/readers that are in Boston, please report back and let me know you're okay.